Remember, all you have to do is post about five things on your mind, add our logo (found at the bottom of this post), and join the party using the linky tools below. Easy, and a great way to find new blogs and be found. 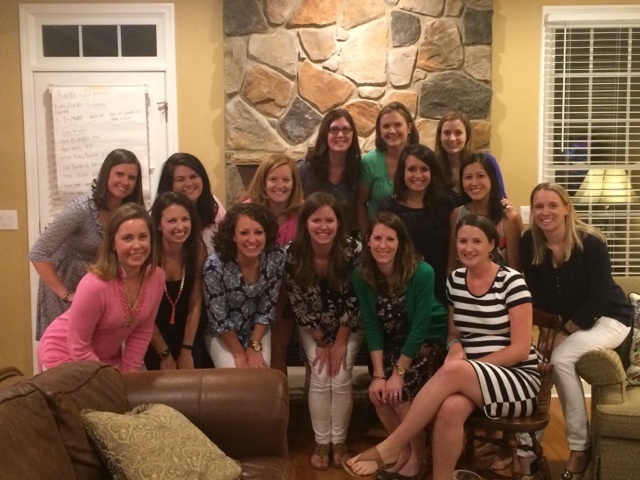 The other night we had Bunco at our friend Elizabeth's house, and I just love that one night a month so much! I host in a few months and I've got a fun theme I want to try out (I stole the idea from my mom's old Bunco group). We also played Left, Right, Center. Love that fun and easy game. I didn't win any money Wednesday night but I enjoyed a delicious rosé and of course enjoyed the girl time! 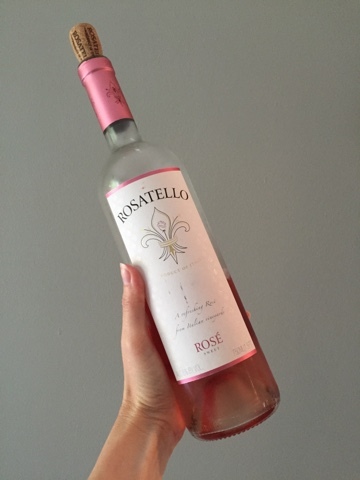 Here's that rosé if you are so inclined to try it. It's on the sweeter side but still nice and crisp. I picked it up from Harris Teeter for $9 so it's definitely not one to break the bank. 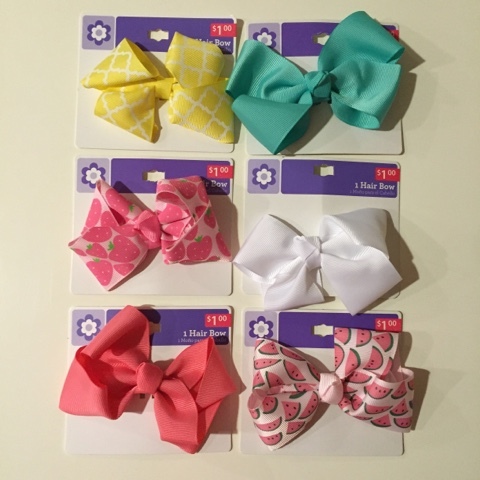 Did you see the adorable medium-sized bows I posted about on Instagram (@alizadventures)? They are a Walmart find and are only $1. Score! One of the best parts of vacation was all of the time to read on my Kindle. I usually use my iPad app, but I didn't want to lug my heavy (and expensive) iPad around. The Kindle is much lighter, less money to replace if needed, and has no glare ... perfect for reading outdoors. I could not have enjoyed The Light Between Oceans more and finished it in the Cancun airport on the way home. I highly recommend this book to anyone looking for a captivating story. Last night we got to go to see Zac Brown with our friends Sarah and Michael! LOVED IT. Those bows are so sweet and that Rose looks delicious! The Light Between Oceans is on my list of books to read. Was it intense for a vacation read? I thought I heard it was sad. Bunco night and Zac Brown - what a fun week to jump into after vacation!! Love the bows, too! Bunco sounds like a lot of fun.. but ZBB takes the cake. so jealous! I love all the bows, so cute. Happy Friday! And yes! 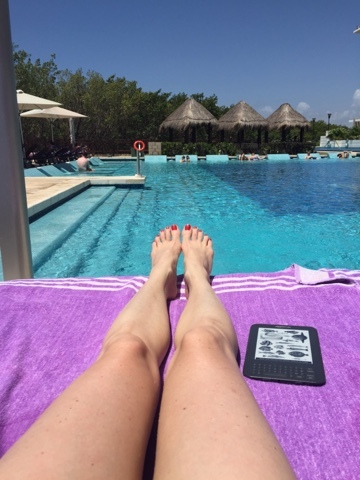 I have a Nook and LOVE the no glare feature for pool reading. It's so light and easy to travel with too! Love the Walmart bows! Vivi has a couple:) And heading to pick up that book today for our upcoming vacay. So excited to get a little reading in soon! Thanks for the book recommendation! And love those bows! Zac Brown is amazing! Going to the August concert! Those $1 Walmart bows! What a great find! I wish I just hadn't spent so much on Julia's Bowtique bows recently.. Although they are pretty awesome! My kids love LCR. I am reading Light Between Oceans. I also really want to see Zac Brown in concert while drinking rose. I am all over your five. 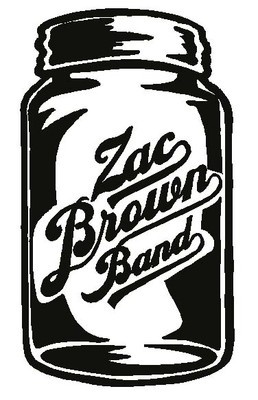 I love Zac Brown Band! Saw them a few weeks ago in Nashville and it was the best concert I've been to in a very long time! Have a great weekend! Bunco + LRC = Fun. I'm leaving for Mexico on Sunday and am packing LRC for our delay in the airport. I need to get my Rose game back in swing now that it's Summer. Thinking of hosting a small rose party with gal pals. Love the strawberry and watermelon print on the bows. How fun! I was at Zac Brown Band last night too, it was great! We love those dollar bows at Walmart! We go through so many and whenever we loose a nice one we just replace with a walmart one!! I went to Zac Brown Band last night too, it was amazing! All the Light We Cannot See is on my 'must read' list this Summer!! I've seen ZBB twice now, they really do put on an awesome show! I definitely need to try that rosé! We saw ZBB a couple of years ago and LOVED them. Definitely makes me want to see them again!